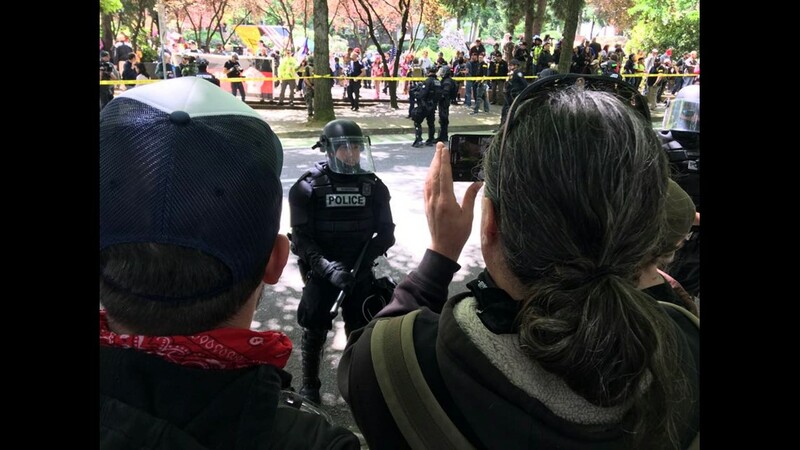 Portland police said they made 14 total arrests Sunday during a day of opposing rallies in downtown Portland. 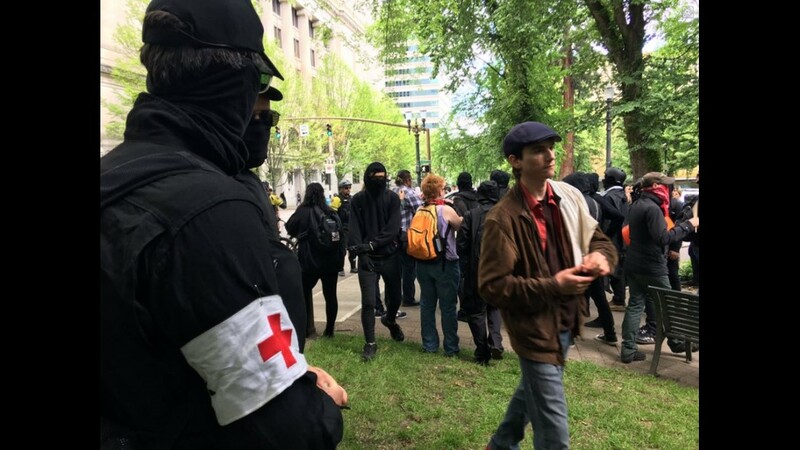 PORTLAND, Ore. -- Portland police said they made 14 total arrests Sunday during a day of opposing rallies in downtown Portland. 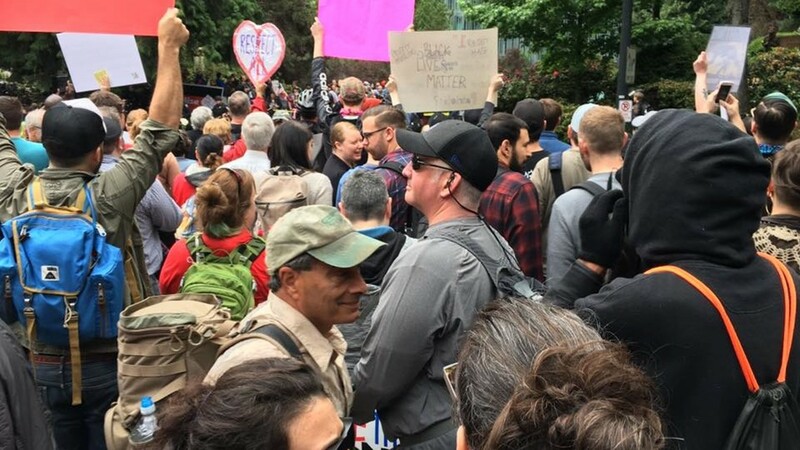 Police detained a large group of protesters and others who were marching after being removed from Chapman Square on Sunday afternoon. 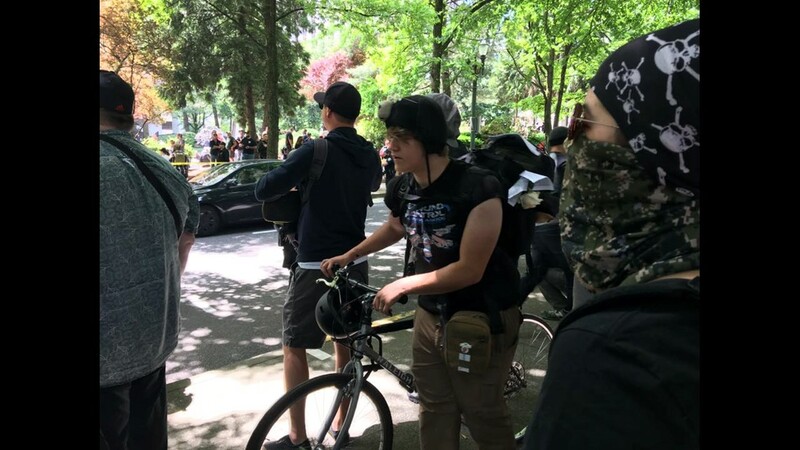 After the group was stopped at Southwest 4th Avenue and Morrison Street, police began detaining anyone in the area. Police made four arrests of people identified as having participated in criminal activity. Those who police believed weren't involved in criminal activity were identified and released. 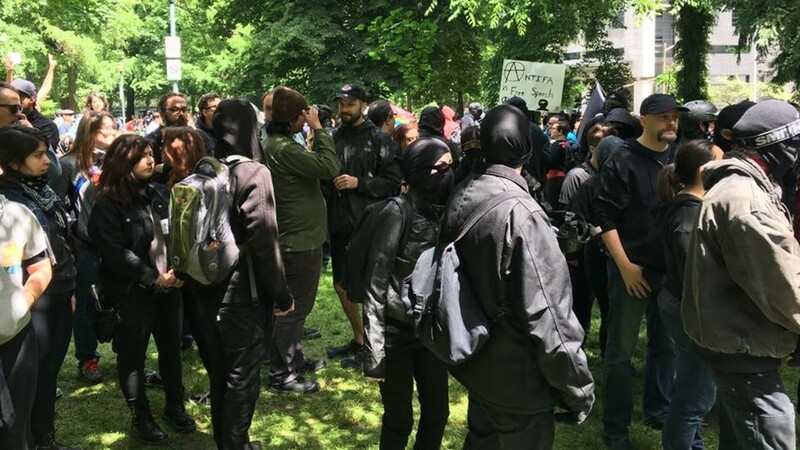 Several journalists at the scene said they were blocked in, along with demonstrators, and were told by officers that they were detained pending investigation for disorderly conduct. 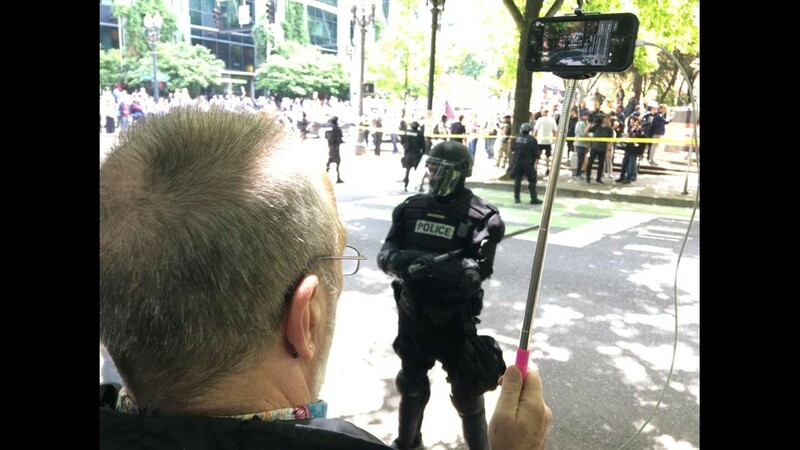 A Portland Tribune reporter tweeted that she was held but eventually released after police took photos of her ID. 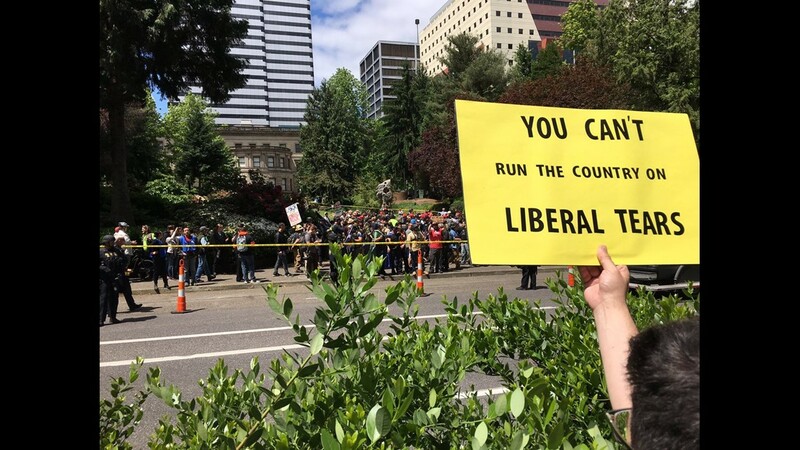 The engagement between police and protesters came after several hours of relative peace, even as crowds swelled to several thousand during a day of opposing rallies in downtown Portland, which began at around noon. 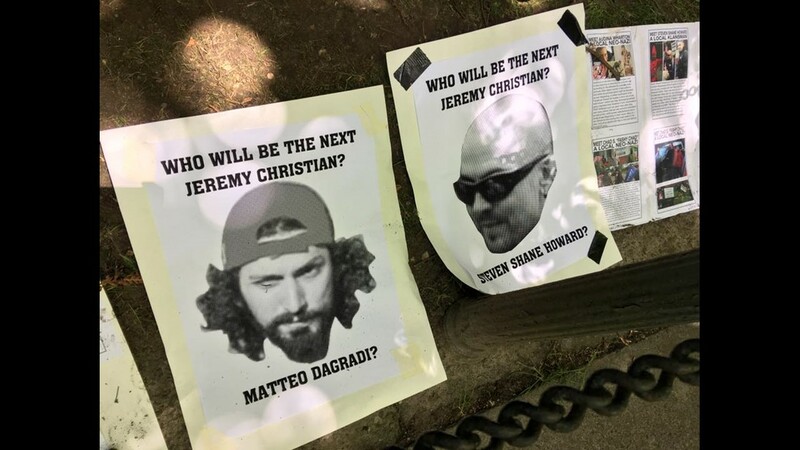 At about 3:30 p.m., police announced the south side of Chapman Square, which had been designated for an Antifa (anti-fascist) group to gather, was closed. 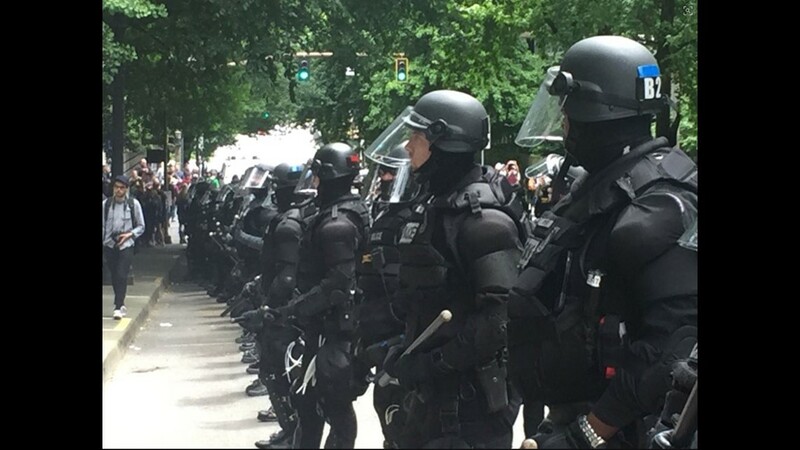 Officers started to use "impact weapons and chemical munitions" after protesters began throwing objects. Shortly after, police said all of Chapman Square had been closed. 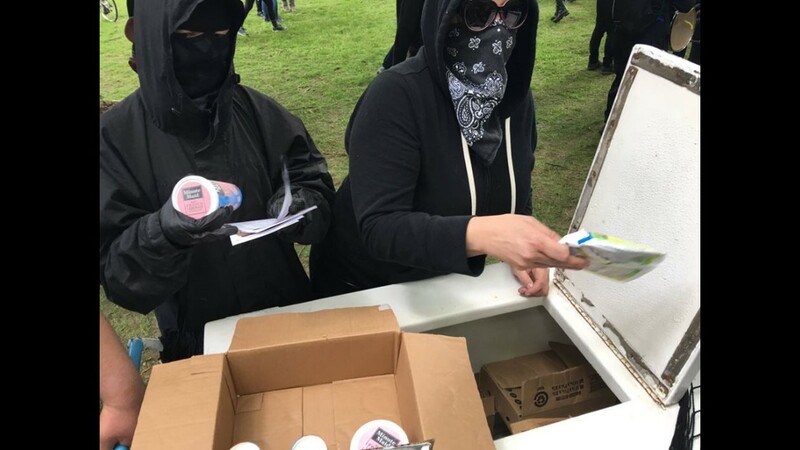 Protesters threw bricks, mortars and balloons filled with "unknown, foul-smelling liquid," according to police. 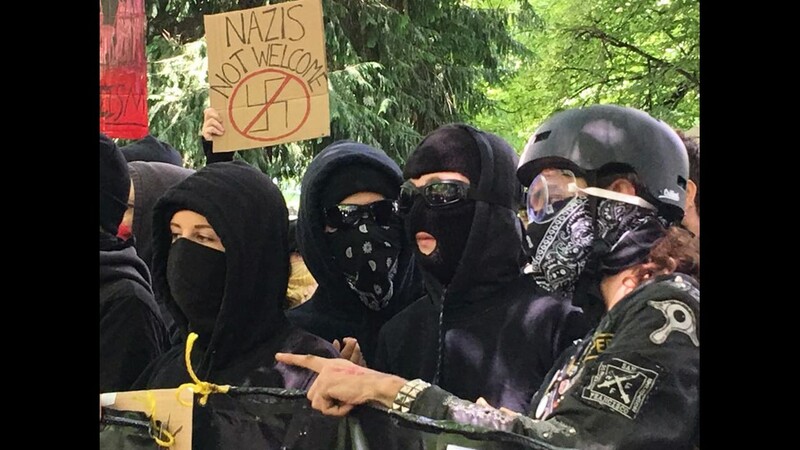 They said only the protesters at Chapman Square had engaged in criminal behavior. 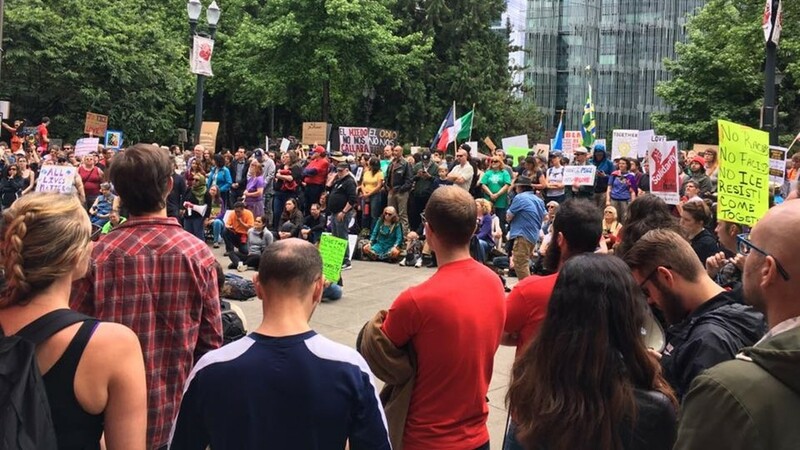 The crowds at Terry Schrunk Plaza, where a pro-Donald Trump Free Speech Rally was held, and City Hall, where the Portland Stands United Against Hate Rally took place, were not involved. 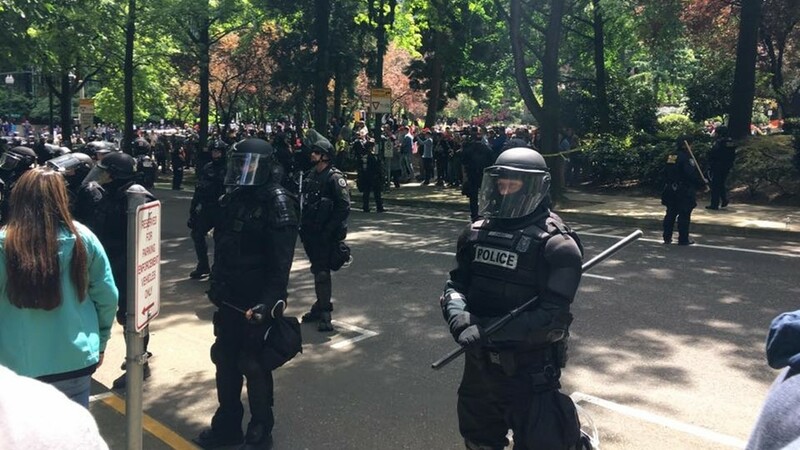 Police pushed the crowd of protesters from Chapman Square to Lownsdale Square, where they continued to throw objects at officers. 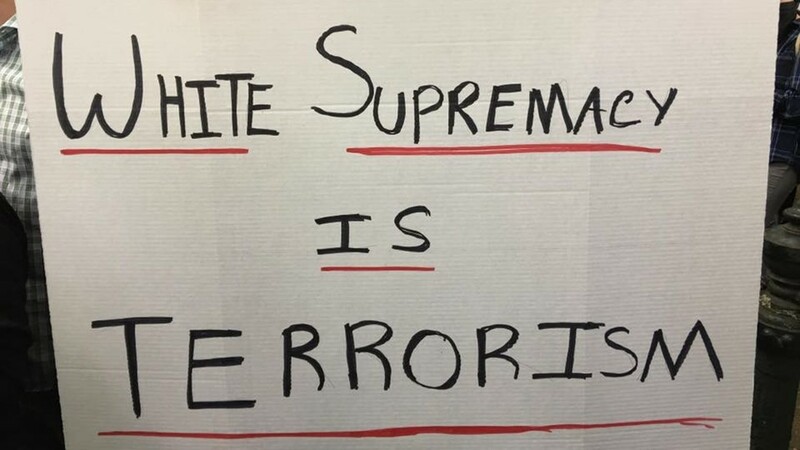 Police said the "suspects [would] be arrested if/when possible." 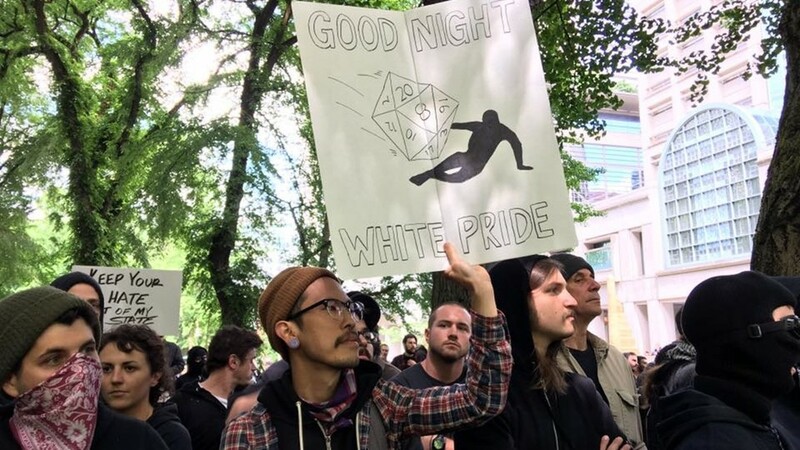 It was at that time the group started marching from Lownsdale Square before they were eventually stopped around SW 4th and Morrison. 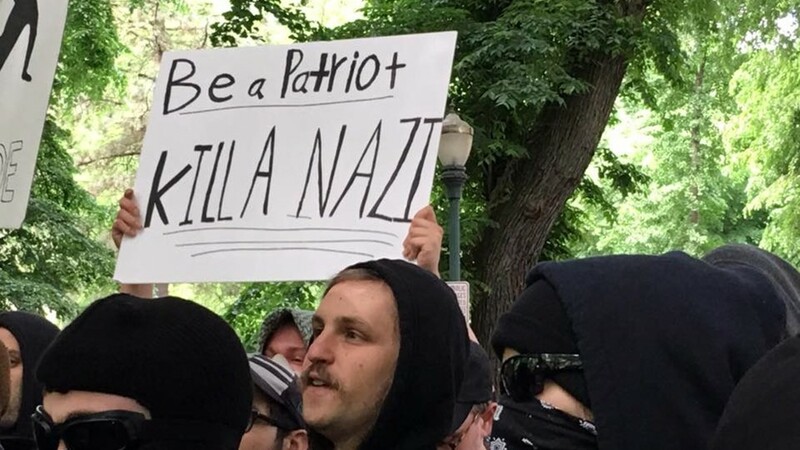 The demonstrations in downtown Portland were in response to the Free Speech Rally at Terry Schrunk Plaza organized by a conservative group called Patriot Prayer. 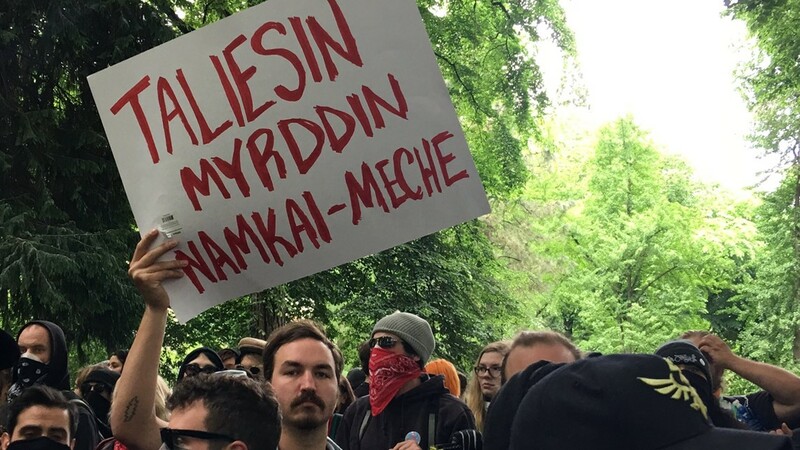 Last week Mayor Ted Wheeler unsuccessfully tried to have the permit for the free speech rally revoked, saying it could further enflame tensions following the May 26 stabbings aboard a light-rail train. 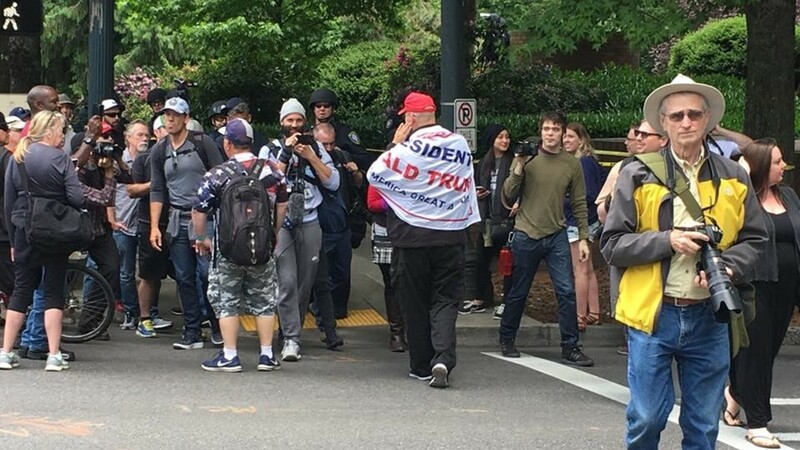 The suspect in the light-rail stabbings, Jeremy Joseph Christian, 35, attended a similar rally in late April wearing an American flag around his neck and carrying a baseball bat. 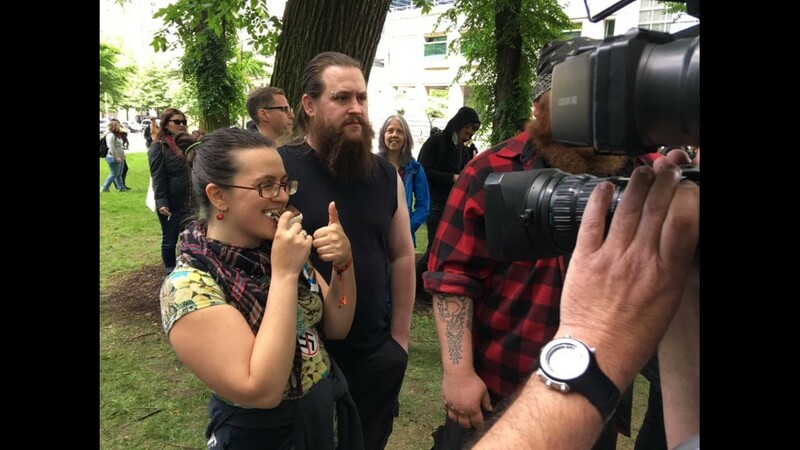 Police confiscated the bat, and he was then caught on camera clashing with counter-protesters, although all groups at the demonstration denounced Christian's attendance. 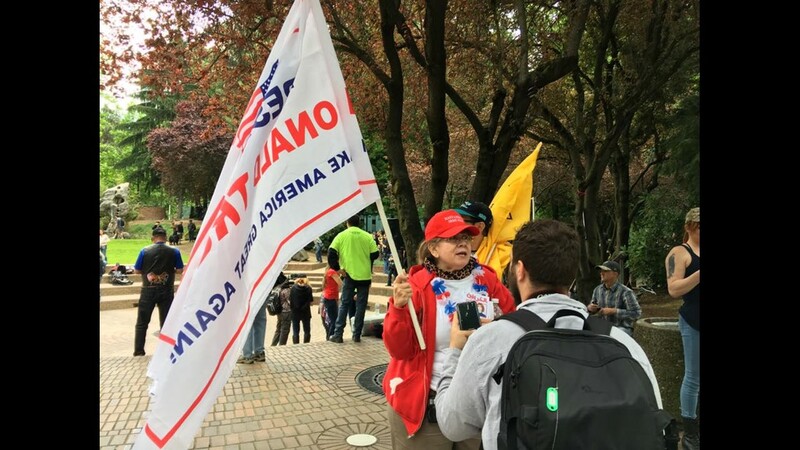 In a video posted on Facebook, Joey Gibson of the group Patriot Prayer condemned Christian and acknowledged that some rallies have attracted "legitimate Nazis." He described Christian as "all crazy" and "not a good guy." 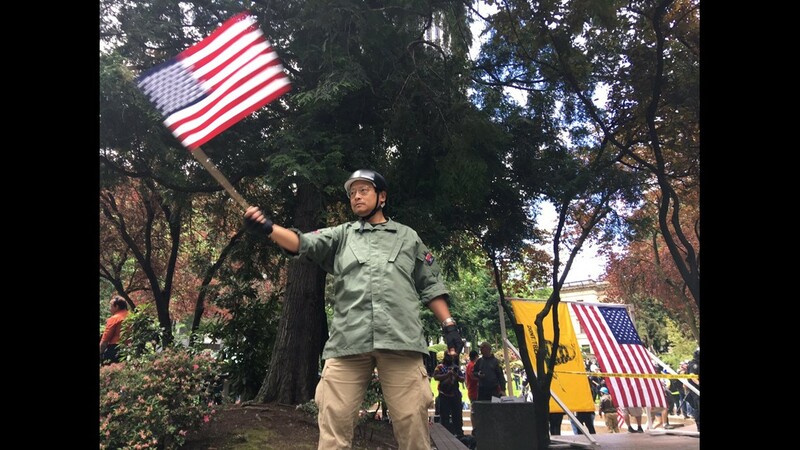 At Sunday's rally, he asked for a moment of silence for the victims of the MAX stabbings. 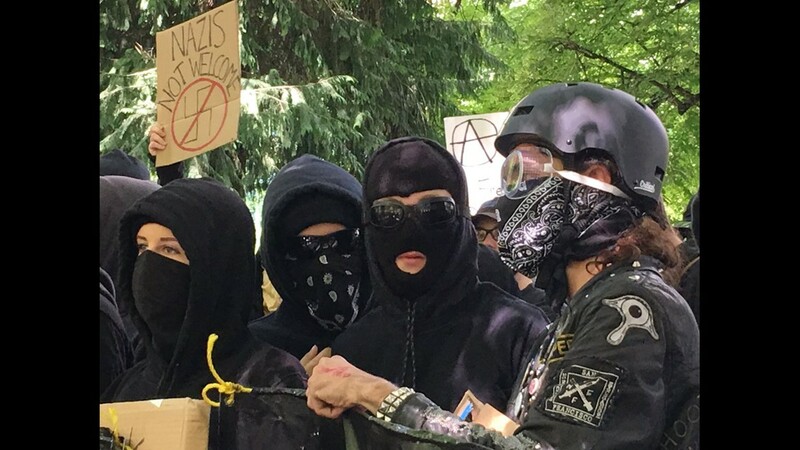 On Sunday, Gibson told the crowd that the Free Speech Rally's goal was to wake up the liberty movement. 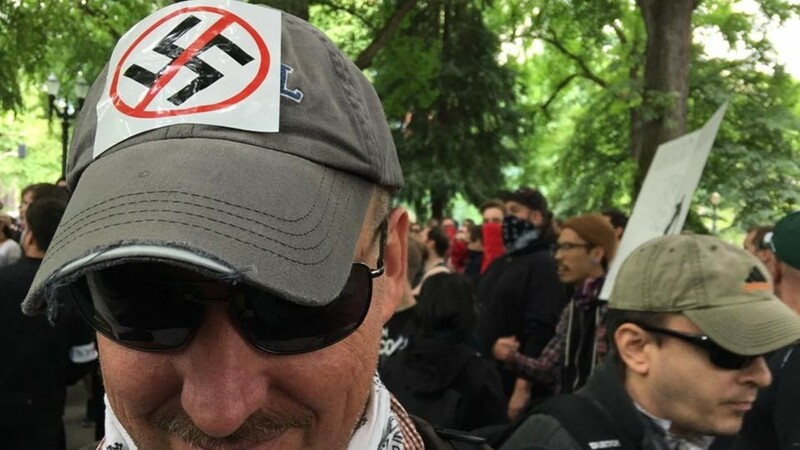 "It's OK to be a conservative in Portland," he said. 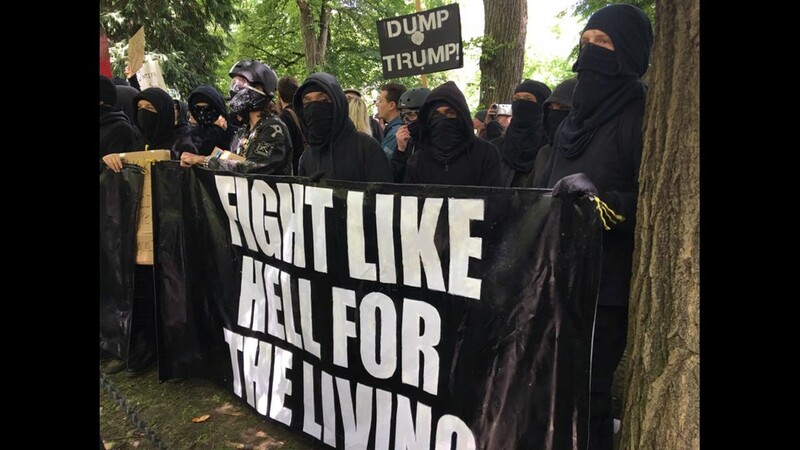 Demonstrators chanted "USA" and held banners in support of President Donald Trump. 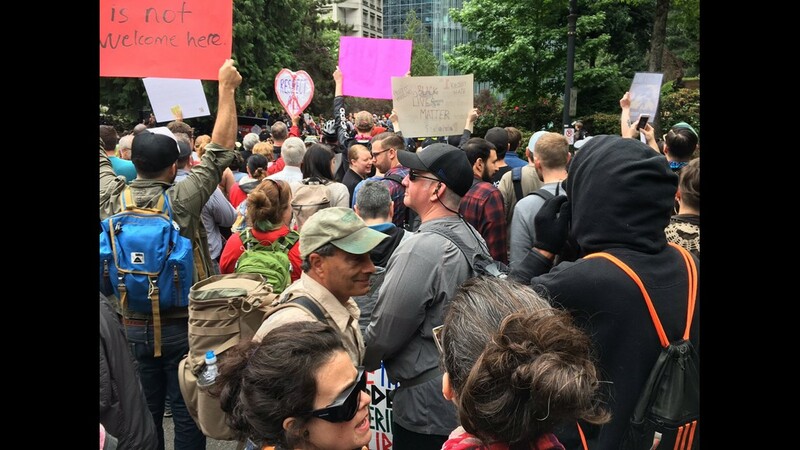 The group was met by thousands of counter-protesters organized by immigrant rights, religious and labor groups. Many of them filled the steps of City Hall, drummed and played music and held signs, some of which read "Our city is greater than hate" and "Black lives matter." 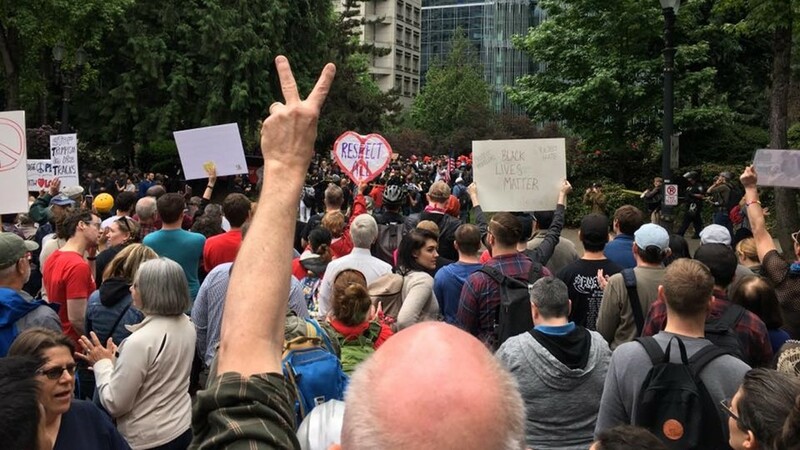 Some chanted "love, not hate" and "Go home, fascists." 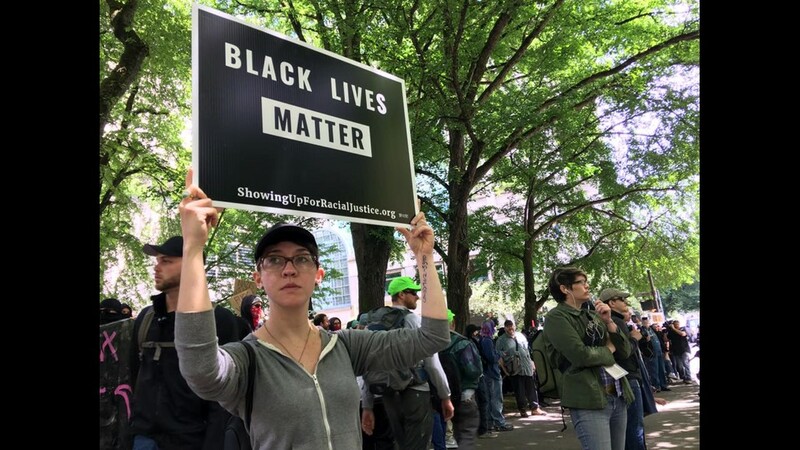 "We build our hope and our stamina for justice by showing up," the Rev. Diane Dulin of the United Church of Christ said in a statement ahead of the rally. 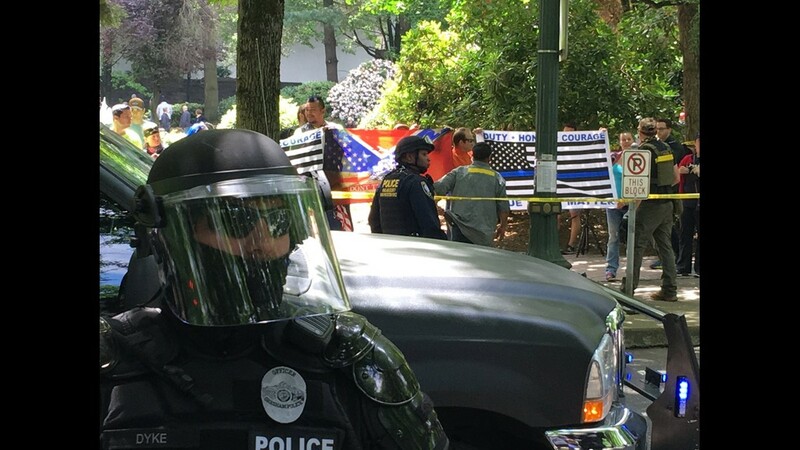 Dozens of Portland police officers, and other law enforcement agencies set up yellow crime tape and tried to keep the various groups separated during the events. 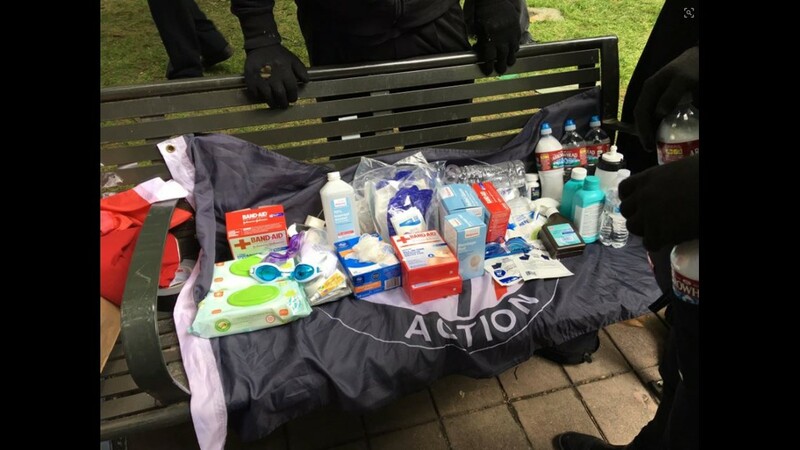 In addition to arrests, various weapons were confiscated. 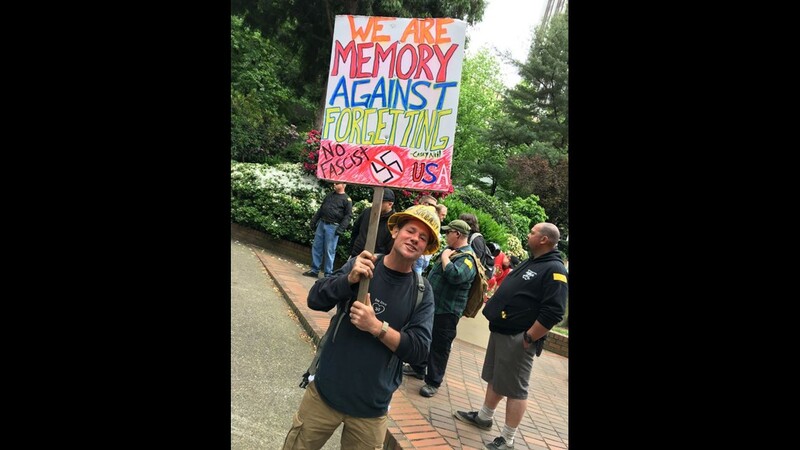 By 5:20 p.m., the rally at Terry Schrunk Plaza and counter-protest at City Hall had ended. Brooks Christopher Klehr, 19. Disorderly conduct, carrying a concealed weapon. 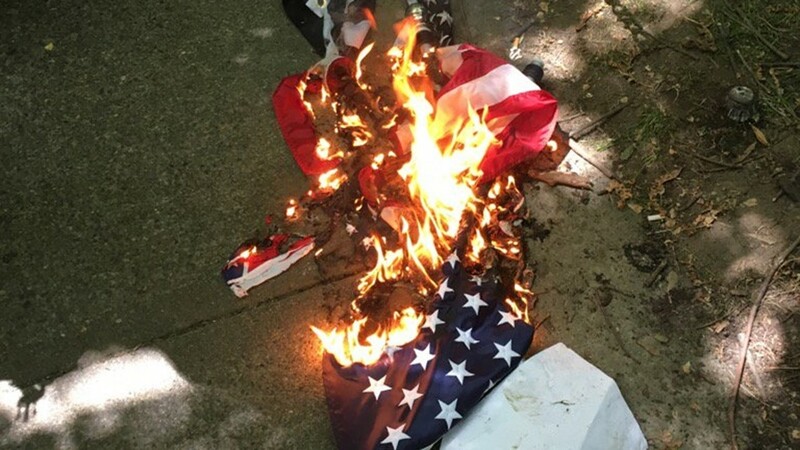 Derek Wayne Christensen, 45. Carrying a concealed weapon. Kim Michael Sorgente, 46. Disorderly conduct. Timothy Francis Ledwith, 23. Given federal criminal citation. Corey David McGee, 35. Given federal criminal citation. Kristena Hanson of the Associated Press contributed to this report.